Reeds are grasslike plants found in the wetlands, which are quite porous. They are excellent for diffusion. Each 3mm stick contains more than 20 individual cellular compartments running from top to bottom. These remain open to pull up liquid to the top of the stick. The aroma from inside the bottle is carried to the upper part of the Reed, and released naturally into the air. Reed diffusers add constant aura and fragrance to the surroundings. The reeds soak up the oil and spread the perfume into the atmosphere. They last as long as all the oil evaporates. 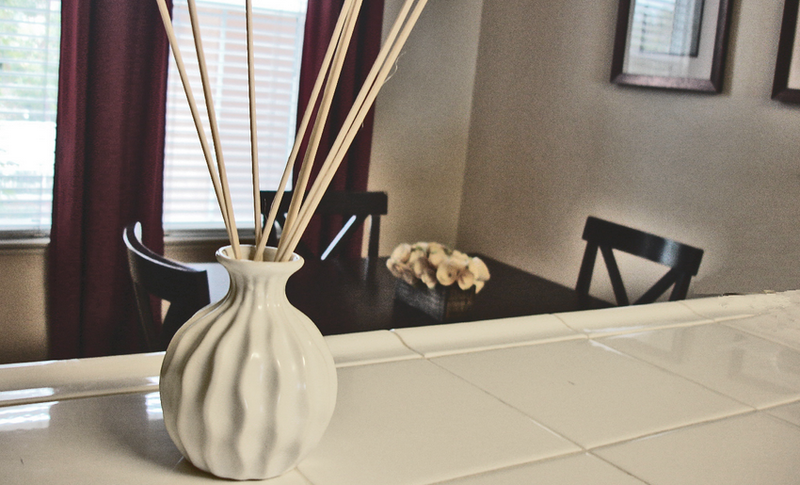 Reed diffusers work well in places which have to be kept well scented at all times. Some great locations to place these diffusers can be the foyer, powder room, basement or closet. Reed diffusers are most suited for places where placing burning candles is not possible. They have a vibrant and robust scent. They have an excellent, soothing aroma. They are flame free by themselves, and require no heat to operate, but heating the perfume inside the diffuser is hazardous, as it can catch fire. Neither do these diffusers create any amount of soot nor do they leave behind a film on the places where they are rest, unlike incense candles. They are very durable as they extinguish pretty slowly, and a bottle is known to last for months. Using these diffusers is very easy. Pour oil into the diffuser bottle, and reeds sticks are also inserted into it. Then the sticks, moist with the oil, are turned over to expose them to the air. The oil keeps moving inside the sticks, and this causes a relaxing aroma to fill the air for several months at whichever place these reed diffusers are placed. The oil can be poured into the diffuser bottle itself so that the reeds can replace the stopper. Otherwise, if it is kept in a separate bottle then few ounces of it can be used at an instant, and it can be refilled whenever there is a need. In case one wishes to increase the scent, the sticks must be flipped. While doing the flipping great care must be exercised, so as to avoid oil drips onto the surface. Fewer sticks must be used when working in small spaces like a bathroom. Using a large number of sticks in small spaces can at times be overwhelming. These improve the smell of space without an open flame. Essential oils of the diffuser are flammable so they must be kept away from flames. Drink Coasters must be used, and additional care must be taken, while placing the reed diffusers on wood, as the Essential oils may leave marks behind them. Spilled oil can damage table surfaces, and the oil must not be ingested as well, so it must be kept out of reach of children. It is advisable to flip the reeds on the diffusers before leaving them for a short while. This way you are welcomed by a fabulous fragrance when you return. Caution must be practised while choosing the right kind of diffuser for oneself. For instance, Lafco diffusers are recommended for large rooms, whereas Voluspa Japonica is better for smaller rooms. It is advisable to clean out the vessel with soap and water. It must be left to dry before refilling the diffuser, so as to avoid adding to the leftover residual oil. Over a period, the reed sticks are also known to lose efficiency and get clogged and dusty, so they also have to be changed along with the oil. The diffuser must stay on a non-porous floor, and oil drips must be cleaned before placing the diffuser on a counter.